When your water tank has a broken part it can become a hassle. Water tanks are necessary for numerous reasons from storing drinking water, to fire suppression, to emergency water, to irrigation, and much more. No matter what you use your water tank for, ensuring that it works properly will save you time and money. Whether your tank has a leak, a broken part, or otherwise, our experts can fix it, so you don’t have to worry about it causing you more problems in the future. We often find site gauges or other parts that are broken during water tank cleanings. If this is the case, it is important to repair them. 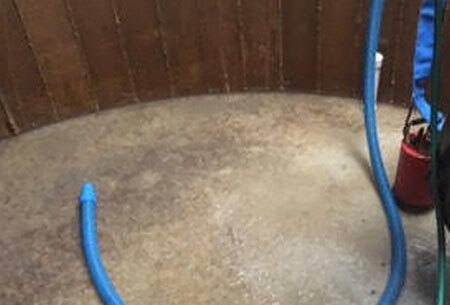 Having a regular water tank cleaning is important, as it not only cleans your tank to ensure sanitation, but also can double as a regular maintenance check to make sure that all the parts are working. Our goal is to ensure that our customers are overly satisfied with our water tank repair, water tank cleaning, and water delivery services. We work hard to provide outstanding service and get the job done efficiently and effectively. If you have any questions about our water tank repair services, or would like to schedule an appointment, please reach out to us today.